When you get a plumbing pipe inspection, your plumbing contractor should have a modern location and leak detection camera that can see the top, bottom and sides of the plumbing pipes. Without an advanced camera, the plumber may not be able to detect all of the problems with your pipes, which could lead to an inaccurate description of your plumbing system. Location and leak detection cameras are waterproof, digital cameras that are attached to flexible rods. These cameras have the ability to send digital images to a small LCD screen and a digital video recorder. The flexible rod allows them to be threaded around corners, bends and turns so that every inch of your pipe is completely inspected. There are many makes and models of location and leak detection cameras on the market. Some offer pan and tilt features while others remain stationary on the flexible tubing. 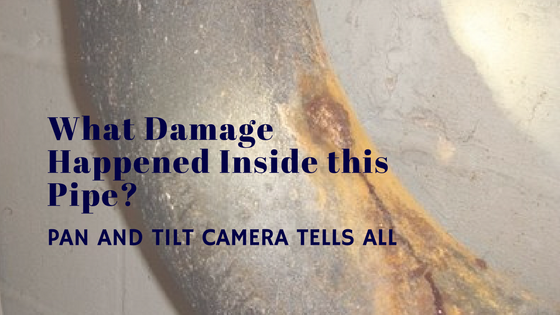 The cameras that remain stationary do not have the ability to tilt up or down or pan the entire diameter of the pipe. This can be limiting, especially if you think your plumbing pipe problems are going to be hard to find. A pan and tilt camera for plumbing pipe inspections generally offers a 360 view and 180 degrees of tilt. The pan and tilt features of the camera ensure that the top, bottom and sides of the pipe are completely inspected. This helps precisely determine if there are leaks, corrosion or damage to the pipe, including if the pipe isn’t graded correctly. If any damage or problems are found, they will be recorded so that you can view them immediately with the plumber and/or at a later date. Here at Nu Flow of Chicago, we understand that when you order a building pipe assessment, you want the camera inspection to be as thorough as possible. To ensure you get the best camera inspection of your plumbing pipes, we have a new pan and tilt sewer inspection camera that has the ability to view the entirety of your plumbing pipes, including the top, bottom and sides. This means that we can detect cracks, corrosion, clogs and debris anywhere along the insides of your sewer and drain lines. As the location and leak detection camera moves through your pipes, all of the images are sent to an LCD screen and a recording device. 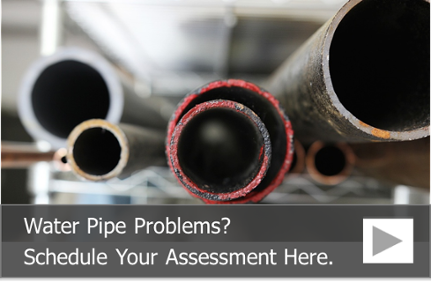 Once we finish, out pipe lining expert will show you the video and explain the findings. We will also tell you if your pipes are good candidates for the pipe lining process, and we will provide you with an estimate for pipe lining. To schedule a plumbing pipe inspection that includes a camera inspection with our new pan and tilt camera, call us at 815-790-9000.